common sights in homes and attics throughout Southwest Florida. Their exceedingly well-developed dexterity and keen senses allow them to break into homes with ease and are able to cause serious damage due to their larger size. 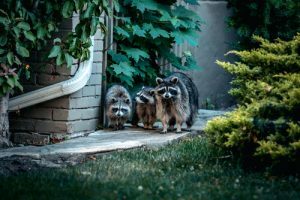 Understanding the signs of raccoon activity can help you get them out before the damage is done. Raccoons are adept climbers, so keeping tree branches trimmed away from your home will help deter them from exploring your roof. Here at Critter Control® of Southwest Florida, we have decades of experience in animal removal that allows us to get the nuisance critters out efficiently while keeping you and your family out of harm’s way. We never recommend attempting to remove raccoons on your own due to the threat of injury or disease, so call us today at 239-872-3355 to schedule your home consultation.